Diesel celebrated their latest foray HAɄTE COUTURE which stars Nicki Minaj and Gucci Mane. The bold collection features denim jackets, hoodies, T-shirts and more items embellished with actual, hateful words directed at the label such as “Diesel is dead” and “Diesel is not cool anymore.” Campaign and 40th anniversary with Hypefest featuring an appearance by Gucci Mane himself over the weekend in Brooklyn. 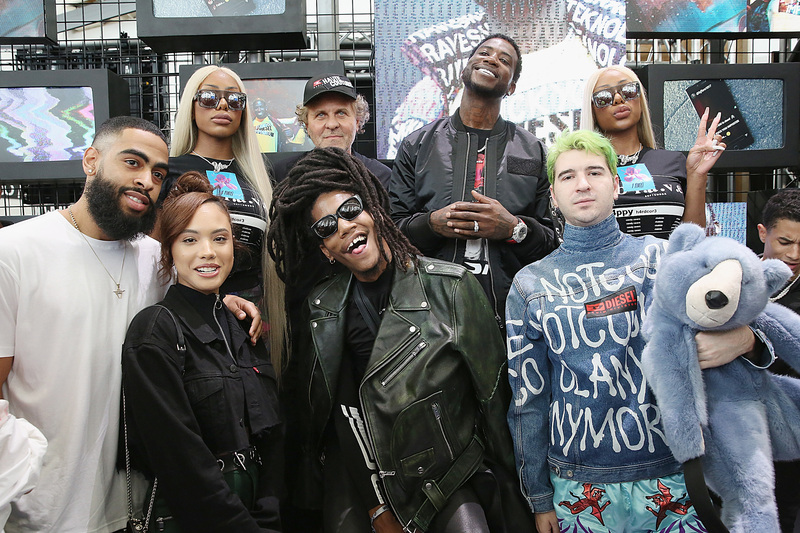 Founder of Diesel, Renzo Rosso joined by the North American CEO Stefano Rosso welcomed socialites like The Clermont Twins, actors, content creators and more. Called HAɄTE COUTURE, the bold collection features denim jackets, hoodies, T-shirts and more items embellished with actual, hateful words directed at the label such as “Diesel is dead” and “Diesel is not cool anymore.” The line was inspired by internet trolls and cyberbullying designed to redirect that vitriol into something empowering.